There are numerous dangerous substances in the world and just like anything else, they need to move from place to place. That means taking to the roads, air or sea, moving around other vehicles and people. Welcome to the world of HAZMAT shipping. It takes the highest regard for safety and acute training to be the truck driver that handles and delivers HAZMAT materials. From toxic chemicals to flammable substances, a huge responsibility is involved. How can one become a HAZMAT certified driver? There are certain steps to take in order to achieve this status. But once you do, as a truck driver, this opens doors to more job opportunities and broadens your scope of OTR experience. Before you can transport any large loads, you’re going to need to get your CDL. The regulations for obtaining one differ depending on the state you’re in, so start by contacting your local DMV office to get the basics. Typically, you must spend some time as a permit holder, which allows you to drive a vehicle as long as there is a certified CDL truck driver in the passenger seat. After the permit period, you must pass a driver’s test at the DMV to receive the official endorsement. Along with the application process, expect to pay anywhere from $80-$110. You’ll also have to take a mandatory TSA background check. 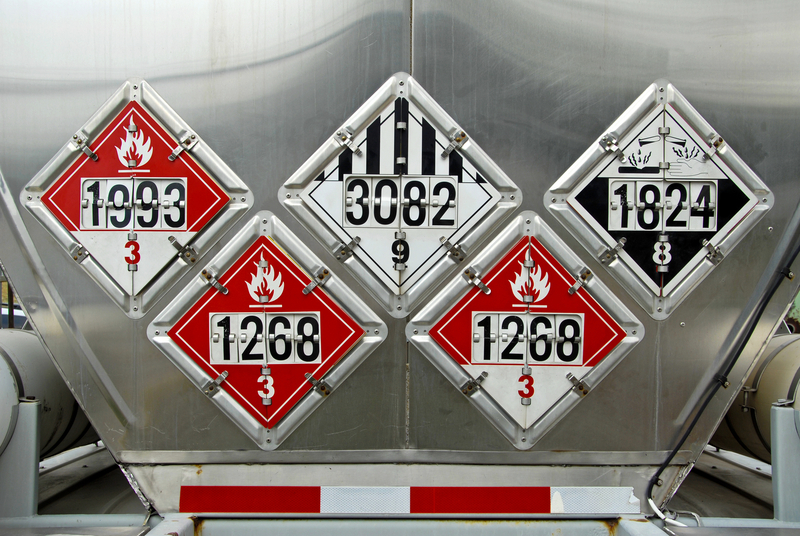 Many HAZMAT materials, such as pressurized gas or gasoline are transported by tankers, so if you’re going to be a HAZMAT driver, it makes sense to get your tanker endorsement. Conveniently, you can get this at the time of your CDL. It will be added to your CDL as an “X” showing that you can drive tankers. You will have to take a separate knowledge test, which can either be done when you take your CDL knowledge test or at a different time. Once again, always check with your state’s regulations to ensure what steps are necessary.